Rideability is Australia’s leading education provider for Cycle Education, Road Safety and Bike Skills to Schools. We regularly consult government and education policy makers in this field. Our practical programs teach students to ride safely by developing their knowledge, skills and confidence. We achieve this through engaging, practical physical education lessons and resource packs. Our services cater for different learning styles and ability levels. We have programs and services for all key stages. All of our units are written and delivered by qualified and experienced Health and Physical Education teachers. Our services and programs are examples of “best practice” for teaching and assessing Physical Education in the National Health & Physical Education Curriculum. This in turn provides schools with RFF and professional development opportunities. Rideability believes in helping students develop capabilities important for life and work in the 21st century and that are aligned to the three issues identified in the Melbourne Declaration. Our lesson plans support key skills (moving, problem solving, communication, interacting and decision making) whilst addressing some of the teaching and learning objectives within the strands of Safe living; Personal health choices, Active Lifestyle and Skills. Courses have been created, allowing students to progress and develop in a safe and supportive environment. Our delivery style is inclusive and engaging, resulting in motivated students who progress and develop their skills and knowledge. Students are assessed in line with the National Curriculum and are awarded Achievement Certificates or Bike Licenses on graduating from various programs. 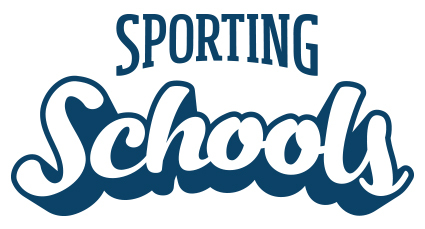 Funding for our courses is available through the Sporting Schools and Premier Sports Challenge Programs. Successful funding applications can expect to receive an average of $1500-$3500 per term over three consecutive terms. 89% of students feel their riding skills and confidence has improved after participating in a Rideability service. 100% of principals and teachers rate our services as professional, purposeful and relevant. We achieve 100% student participation because we differentiate and make learning fun. Rideability provides a practical workshop to support and reinforce the teaching of Road Safety Units in Pre-schools and Long Day Care Facilities. The workshop incorporates bicycle related music and fun games to reinforce the learning that takes place. The workshop teaches children how to: correctly fit their helmets; prepare themselves and their bicycle /scooter to ride safely; emergency braking and footpath rules. All participates receive a certificate on completion of the workshop. A colouring in worksheet is also included. This workshop can be offered as an indoor lesson should the facility have limited outside space or in the event of bad weather. Service includes our fleet of Strider balance bikes for students to ride. We recently held a Bike Week at our preschool where all children attending across the week were invited to bring their bike or scooter to preschool. We focused on road rules and signs within our community. Rideability instructors visited us 3 times during the week and explained specific bike safety to the children. This complemented our event beautifully as the information presented to the children was very relevant for the 3-5 year age group we cater for. Rideability provided great resources and the session combined both practical and theory about bike safety and how to ride. Children were shown how to check their own bikes as well as ensuring their helmets fitted correctly. As children of this age are learning how to ride as well as learning about road rules, we felt the safety aspect needed to delivered by someone with appropriate experience. The instructors were loved by all the children and certainly aimed the session content at their age. We highly recommend this service to others interested in bike safety. This workshop involves a non-riding 45 min workshop where students will learn the important skills and knowledge of helmet fitting, bicycle safety check and the basic principles of safe riding and being safe on a bike or scooter. The workshop is conducted in a large classroom or sports hall. Service includes RideAbility bringing a small fleet of Specialized bicycles. All equipment brought to site with Student certificates awarded. Rideability attended our school recently to complete sessions with our Infants children on Bike Safety. RideAbility was very well organised having bikes, helmets and posters set up in the hall as stimuli for the children. The staff member was very engaging, sitting down at their height talking to them about how to be safe on a bike and how to wear their helmets correctly. Children were encouraged to bring their own helmets to school where they then fitted one another’s helmets properly and the instructors went around to every child to ensure it was correct. Children got to engage with one another in groups as they made sure a bike was safe to ride. They checked saddles, tyres, chains and brakes on the many bikes brought in by Rideability. All the children were totally engaged throughout their sessions and thoroughly enjoyed the material presented to them. This was an excellent session to conclude our Road Safety units in classes. We certainly would look at obtaining Rideability’s services again. Colleagues, this is a must do for your students. A professional and purposeful educational service which delivers curriculum and life-long learning outcomes. Rideability have been working with our stage 2 and 3 students in differentiated groups over this last term. The students and staff have thoroughly enjoyed the Rideability program. The teachers are fantastic communicators with the children and the lessons are appropriate for the ability levels of a wide range of bike riders. The program is fun and very enjoyable for the students. I have been extremely impressed with the professionalism of the Rideability staff and the interest they have taken in all of the students. It has been awesome to see students who were non riders now riding a bike and having a ball doing it! I would highly recommend the bike education program from Rideability. My son has just completed Rideability’s in-school course. Not only was it the highlight of his school week, it taught and reinforced crucial skills in how to ride safely in the community. Many kids in our community are beginning to ride to school and this course came at just the right time for them. In general, they have really listened to the instructors and are definitely riding a lot more safely. I would highly recommend this course for school aged children, especially as they become a little more independent and want to start using their bike as a mode of transport. When working with Stage 4 and 5 students, our focus shifts to the recreational sport of Mountain biking. We often find students have developed competent riding skills at this age and are looking for more of a challenge. Our half day workshop takes students through the fundemental skills of mountain biking, all done on the school oval. Opportunities to take students on a trail are available upon request. A small fleet of mountain bikes are available for students who may not have access to a bike. Skills include: Braking, flat line cornering, attack position, front wheel lifts, track stands, ratcheting and gear selection. Dirt School licences are awarded to students who are able to develop these skills. Assisting schools to implement a “Bike train” in their school community as an alternative way of travelling to and from school. This reduces traffic congestion outside schools and creates a healthy, environmentally friendly alternative to driving. Assisting schools in writing and implementing their “Bike to school policy”.